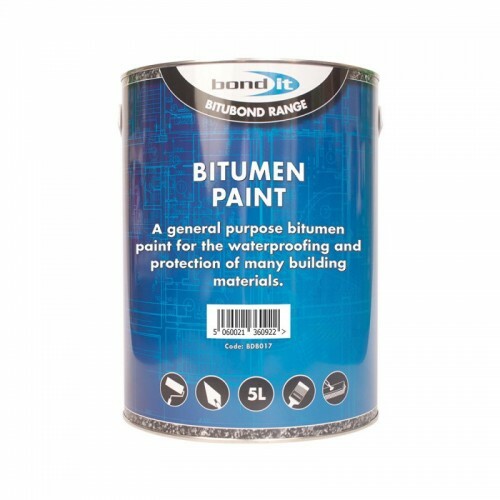 Bituminous black paint for the waterproofing and weather protecting of steelwork and concrete. Used for the protection of ferrous and non-ferrous metals, concrete roofing, felt, fibre cement, corrugated iron, asphalt and wood, against water. Surfaces to be painted must be completely dry and clear of loose material and any corroded areas primed prior to application. Application by brush or atomised spray. See Technical Data Sheet for full application details.